Spinning on the turntable today in the rock room is the most recent release (2014) from legendary and sometimes controversial troubadour Yusuf Islam, also known as Cat Stevens. 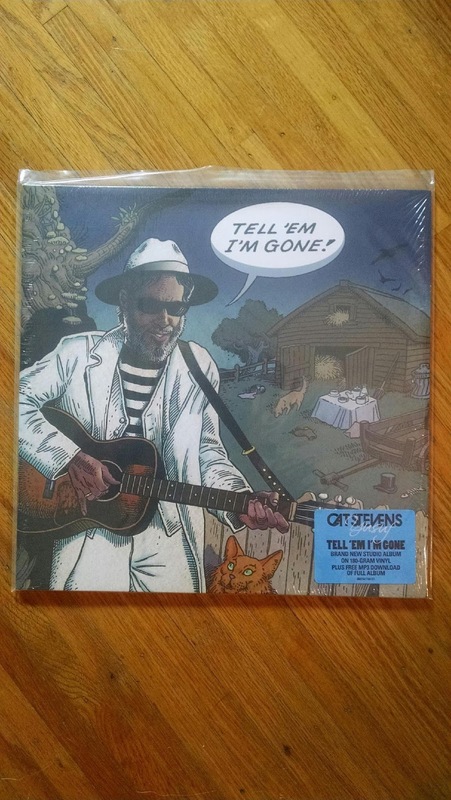 The LP Tell Em I’m Gone is a record split between inspirational new originals and influential cover songs hailing from Yusuf’s musical past. 2014’s Tell Em I’m Gone was Yusuf’s first full length since 2009’s Roadsinger an intimate and noteworthy return to form for the famed singer/songwriter. Stevens, who changed his name and redirected his faith in the late 1970’s, began to feel the pull of his acoustic guitar early in the new millennium after an absence of over twenty years. After reconciling his religious beliefs with the strange world of popular music, Yusuf realized his ruminations and melodies were still needed and wanted by his fans and admirers. 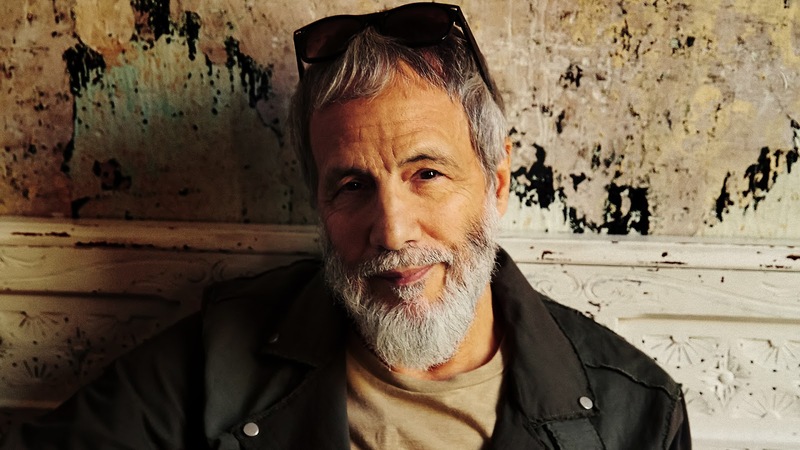 This recent collection of songs is not only a spectacular return to Yusuf’s popular form of the 1970’s, but a return to his formative ‘pre-Cat Stevens’ influences and loves that helped to shape the artist we are able to witness today. Somewhat obscured beneath the numerous ornate melodies and smooth recitations of his popular catalog lies a gritty edge of R&B, blues and ethnic influences. Digging his sandy boots into the soils of his past Yusuf reveals the roots of his influences through graceful reimaginings of traditional songs and cover tunes. Intermingled with profound new compositions and a number of friends and guests, Tell Em I’m Gone is a fresh gust of inspiration to blow across a sometime barren landscape of new music. Co-produced by the contemporary and famed Rick Rubin and mixed by long time musical collaborator Paul Samwell-Smith, Yusuf is consistent in his approach to keep one foot in the past and one firmly in the future. What started originally as an album of blues covers developed into a complete LP of originals and favorite songs. Most if not all of the album was laid down live in the studio with a minimum of overdubs adding to its lively and organic approach. The album delicately balances originals and cover songs with a five to five split between the ten tracks. The collection opens on the crystalline weaving guitars of Yusuf and special guest guitarist Richard Thompson. Yusuf’s voice sounds as if it has emerged from a sealed and submerged time capsule, hardly aged, as emotive as it has ever been. ‘I Was Raised In Babylon’ is an original Yusuf composition, sparse and spooky, a flexing commentary on truth and faith. The first covers of the collection follow, first with Yusuf’s reading of the blues standard ‘Big Boss Man’. Hearty Fender Rhodes and knee knocking percussion lock into a tribal version that retains the original melody, but updates the arrangement with a roots funk attitude. Blues legend Charlie Musselwhite also lends well-timed silver harp blasts to the track. Alternately the following ‘You Are My Sunshine’s’ classic melody is distorted by Yusuf’s dusty Southern blues arrangement which is then tastefully augmented by award-winning and Sahara Desert roaming musicians Tinariwen. The third cover in a row is of Edgar Winter’s powerful early 1970’s ballad ‘Dying to Live’. True to its original arrangement the song is a fitting statement for the often misunderstood Yusuf and a vocal highlight of the album thus far. Yusuf original, ‘Editing Floor Blues’ comes next and is a gruff blues collage, its texture created by gravely alternating guitars and straight-faced serious verbal exclamations. The song is a conglomerate of blues changes and lyrical snippets, but twisted originally to fit Cat Stevens new-found aesthetic. This aesthetic sometimes reminds me of Dylan’s 1997 Time Out of Mind in attitude and fearlessly expressed musical truth. Both dip a ladle into the well of traditional ifluence. The urgent vocals and autobiographical lyrics recall an updated version of Cat Stevens 1970 track ‘Pop Star’ and is a major highlight of the first half of the recording. ‘Editing Floor Blues’, a commentary on the media’s misunderstanding of Yusuf, segues perfectly into ‘Cat and the Dog Trap’ another new Yusuf original that contains obvious lyrical connotations to the troubles of Yusuf’s not so distant past. The songs circular picked central lick and fresh Spring green melody is one of the most powerful Yusuf has produced since his return to music. All of the instruments excepting bass are played by Yusuf allowing for his trademark compositional hallmarks and aural fingerprints to be left all over the glass. ‘Gold Digger’ follows next, unique in its construction, catchy in its sparkling intent. The song snaps its filament fingers with a jazzy swing, cartoon like in its simplicity, but containing a more serious underlying attitude in the panoramic world view of the words. The song is a well placed anomaly in the context of the album even featuring vocals hailing from the South African Vocal Choir. 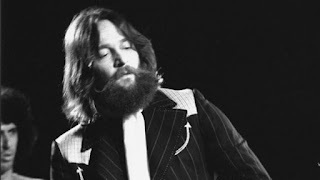 An imposing version of Procol Harum’s ‘The Devil Came from Kansas’ comes next and emanates triumphantly with big chords and a striding groove. Dropping like a coin in a slot the song falls into a bobbing groove and adds another unique take on one of Yusuf’s favorite songs. The title track of the LP, ‘Tell Em’ I’m Gone’ is placed next to last and encapsulates the vibe of the collection with a muddy thump and recitation of the traditional ‘Take This Hammer’ melody. The band Tinariwen joins again for claps, vocalizations and percussion assistance. Similarly to Yusuf’s contemporary Paul Simon’s excursions into World music influenced recordings, Yusuf has successfully assimilated various musical influences into the creation of this particular record as played out on the title track. The ambiance and musical heartbeat of this song epitomize the soul of this album. Most excellent. 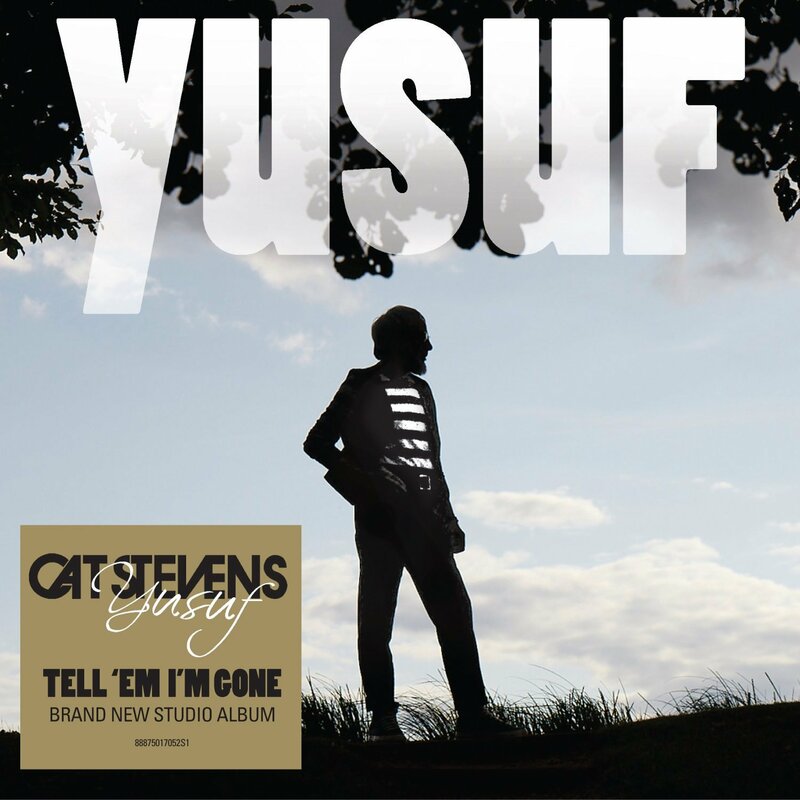 Yusuf has a history reaching back to his Cat Stevens recordings of closing his albums with perfectly placed poignant and inspiring compositions. Examples range from‘Lilywhite’ on 1970’s Mona Bone Jakon, ‘Peace Train’ on 1971’s Teaser and the Firecat and ‘Never’ from his final Cat Stevens album, Back To Earth. Here the song ‘Doors’ takes on the same position and reveals a collection of opposing images used to conjure a feeling of hopefulness and freedom. The arrangement is scented with a unique gospel flair and reaches an orchestrated climax that swirls with inspirational Hammond flourishes and peaks with Yusuf’s reassuring vocals. Yusuf’s collection of music, Tell Em’ I’m Gone, is not a well recorded piece of nostalgia. It is the work of man comfortable with his life, faith and the musical legacy that he is responsible for. Yusuf still has music in his heart; both his own, as well as the music of his idols and influences. The music he has developed elicits a feeling of self-awareness, freedom, comfort and peace. Though the title of Yusuf’s album is Tell Em’ I’m Gone, I assure you he is right where he is supposed to be. Stay tuned for more music from Yusuf who is reportedly crafting another collection of music.